One of our best friends, Kimmy, loves bold fashion as well as flavors. In high school, she would layer tangy apple butter on anything, was always game for a Richdale’s stop to grab super sour apple bubble gum, and often led the way to Magnolia’s House of Pizza for a sweet and savory Hawaiian pie. On our last visit with Kimmy, she was eager to show us a new flavor combination that “will blow your mind,” courtesy of her roommate, Rachel. 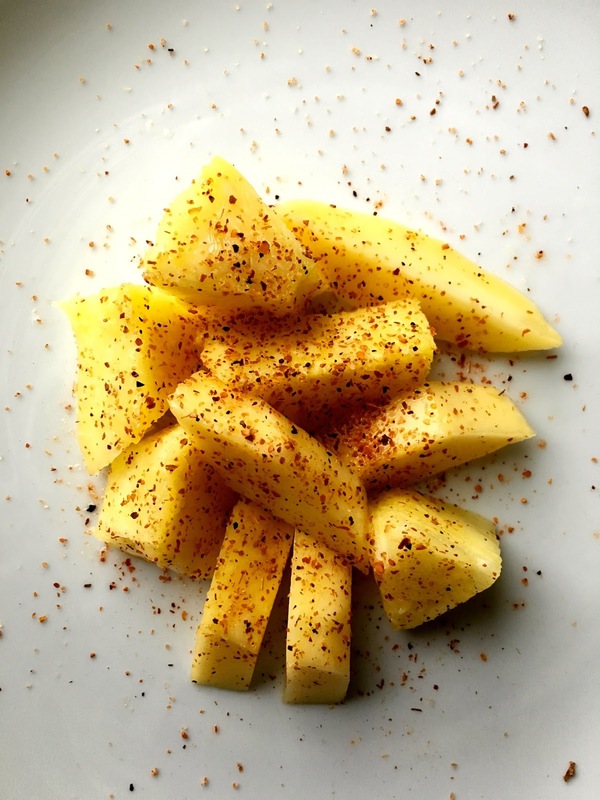 Kimmy arranged pineapple cubes on a plate and dusted them with a generous dousing of TAJÍN Clásico Seasoning. 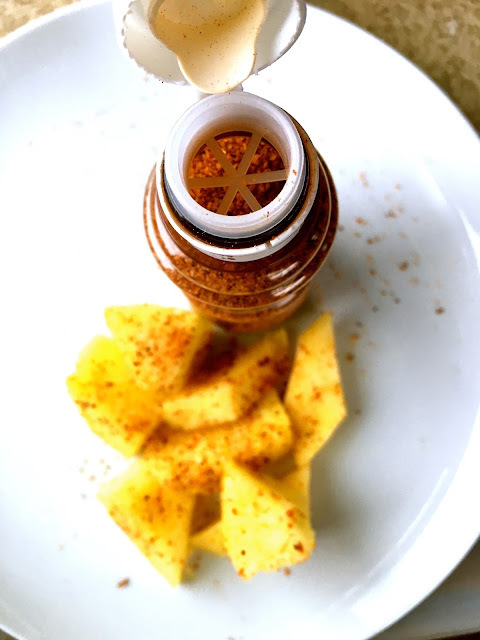 We had never seen this wonderful blend of Mexican chilies, lime juice and sea salt. We decided to add our own spin with the addition of sliced mango and fresh lime juice for some depth. We served the dish as an appetizer, but it can easily be enjoyed as a snack, dessert or even side dish. The preparation is simple and the result is an instant transformation to a tropical destination. Toss the pineapple and mango pieces together and arrange in a shallow serving dish. 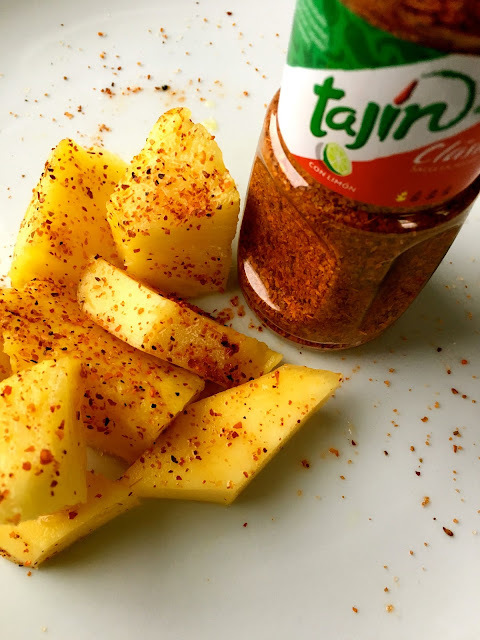 Sprinkle with the TAJÍN Clásico Seasoning (to taste) and drizzle with fresh lime juice. Serve with toothpicks and enjoy. We look forward to sprinkling the hot and zesty seasoning over some fresh cut watermelon this summer. Thanks so much Kimmy and Rachel!